I’m a huge fan of Roy Disney, Walt’s older brother and partner. He’s often the un-sung hero who gets credit for helping to achieve Walt’s vision but isn’t really mentioned as anything more. When Scott Madden contacted be about his new book about Roy, I was a little dubious, simply because I couldn’t see how anyone could surpass Thomas’ original work. Madden has woven a deft and enjoyable narrative about Roy’s life in the pages of The Sorcerer’s Brother: How Roy O. Disney Made Walt’s Magic Possible. In addition to referencing Thomas’s work, Madden also digs into other sources that have been released or recently discovered. Madden sets the tone of the book by looking at the dedication day of Walt Disney World, arguably Roy’s greatest tribute to his brother and possibly Roy’s greatest achievement. Madden goes deep into the day to even discuss how Roy might have been feeling during the events of the day. From there, we jump into a more chronological look at Roy’s life. Through anecdotes, interviews, articles and other research, Madden shares an open view of Roy. We hear from family members, employees, industry professionals, critics and competitors. What I truly enjoyed about Madden’s work was that it felt more like a narrative instead of a typical biography. Madden was careful to present Roy and his thoughts in a manner that feels correct. I know that’s a hard concept to pin down, but it never feels like there a leap or a supposition made about Roy. Madden has read and thought a lot about Roy, which gives him a very unique view. Madden does use ample endnotes (although I prefer footnotes for the reader’s sake) and includes a comprehensive bibliography. With the amount of time and research invested, Disney historians are going to find themselves rethinking the relationship between Roy and Walt, as well as Roy’s relationship with the company. The only negative I can find with the book relates to a very small number of sources cited that lack a certain level of credibility. It’s just a few sources out of the whole, but it challenged me to think about the reading and the anecdotes. I don’t mind a good story, but when it’s in print, it becomes truth. Still, it’s not a very big negative at all. The Sorcerer’s Brother is a highly enjoyable read that is going to satisfy the casual fans just learning about Roy and Disney historians. It’s got a great pace and Madden is good at relating Roy on many levels. The unsung hero of the Disney story deserves many more accolades and I’m glad to add Madden’s book to that list! 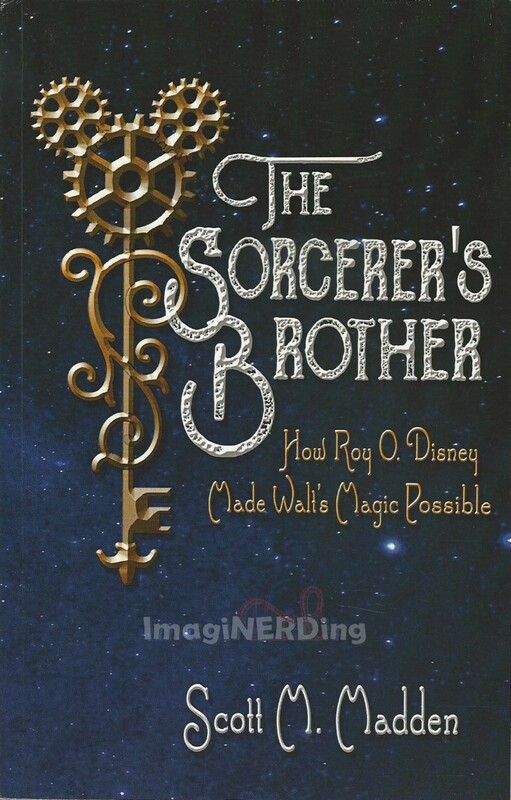 Are you going to check out The Sorcerer’s Brother: How Roy O. Disney Made Walt’s Magic Possible?